As your business continues to grow, you may realize the accounting software that got you to this point needs to be replaced. You know you need a change, but shopping for a new business management solution can be a daunting task. There are many accounting software package alternatives on the market, such as QuickBooks, that your business could adopt. There are also other categories of enterprise technology that you may have heard of such as ERP. Familiarize yourself with these terms and you’ll have a better chance at choosing an optimal solution to support your business growth into the future. ERP is an acronym that stands for enterprise resource planning. 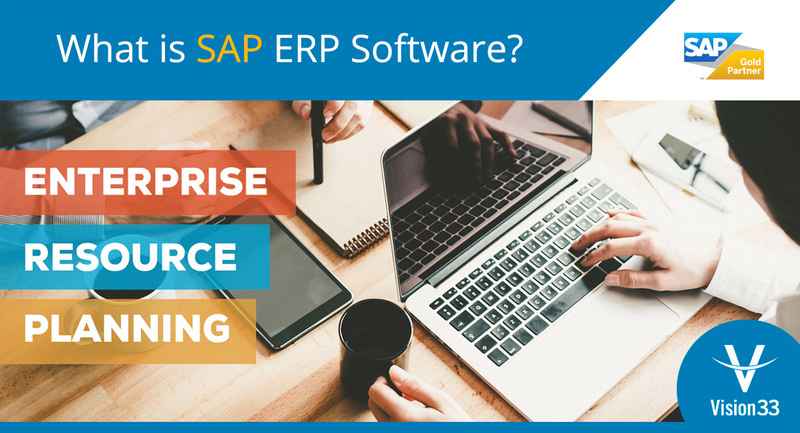 ERP enables you to connect the core functions of your business including accounting, manufacturing, finance, supply chain, and more. With a connected system, you can share information across all departments. From a worker in production to the owner of the company, ERP software give you enhanced visibility into all aspects of your operation. 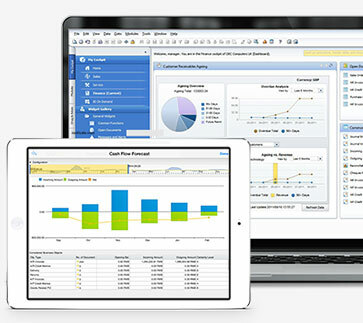 ERP as a category of business management systems originated in the 1970's as manufacturing software. Since that time, the software has grown to include more and more features, building upon a solid foundation of functionality. ERP works by centralizing data silos. For businesses with paper-based systems, ERP can be used to digitize information. Once records are digital, barriers between silos are decreased and the exchange of standardized information about inventory, customers, and accounting becomes easily accessible in real-time. Each user with a license can access the ERP software, whether it is installed on a PC in your office or deployed on the Cloud and accessed through a web browser. What are Some of the Benefits of ERP Solutions? Growing businesses experiencing production bottlenecks, misplaced customer orders, and data entry errors know the cost of using inadequate software. These businesses are missing out on new opportunities and can’t provide superior customer service because of stock-outs and lack of visibility throughout the supply chain. These inefficiencies prevent a business from reaching its goals for growth and success. ERP software streamlines and automates core business processes to help you do more with fewer resources. When you replace multiple record keeping systems, accounting and inventory management software with a single ERP solution, you effectively eliminate your manually integrated information silos. When all the pieces fall into place with a single ERP solution, you can get answers to mission-critical business questions. Obtain and share financial reporting to evaluate performance and track spending. ERP enables you to share this information with anyone throughout your company. With one record keeping system or database, your information is more accurate and can be shared with those that need it throughout your company. Have a specific question about ERP solutions, its features, or benefits? Access our comprehensive ERP FAQ Guide to learn more about ERP and what you need to know as you plan to adopt your next business management solution.